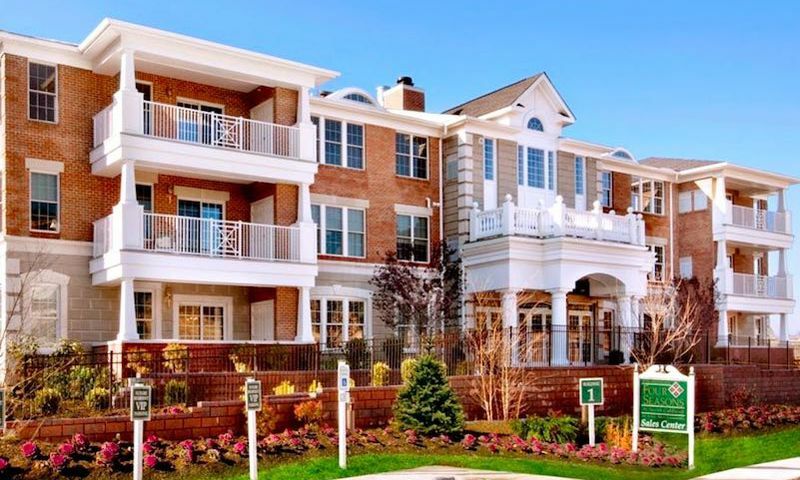 Four Seasons at North Caldwell is a 55+ community located in tranquil North Caldwell, New Jersey. This active adult community offers beautiful condominiums with spacious layouts and ample storage space. Active adult homebuyers will enjoy the on-site amenities that are exclusively for the residents of Four Seasons at North Caldwell. This 55+ community's location in Essex County gives the neighborhood a great central location to popular attractions as well as New York City. Residents of Four Seasons at North Caldwell enjoy attending community events, club meetings, and neighborhood activities in the spectacular 4,200 square-foot clubhouse. Here, residents can stay in shape in the fitness center or attend an event in the multi-purpose room. Residents can also spend a low-key day with friends and neighbors in the card or billiards room. Active adults who enjoy swimming or relaxing in the sun appreciate the outdoor pool, spa, with patio. The outdoor amenities continue with a tennis court, basketball court, putting green, and bocce ball court. A scenic pond round out the amenities in Four Seasons at Caldwell. K. Hovnanian developed Four Seasons at North Caldwell between 2011 and 2015 and now has 108 condominium units. These beautifully designed homes range from 1,957 to 2,428 square feet of living space. Each of these low-maintenance homes offer two bedrooms and two bathrooms while one model features a den. Residences have spacious living and dining room areas perfect for entertaining. Each homeowner also gets two indoor parking spaces. Four Seasons at North Caldwell welcomes residents that are aged 55 or better. Homeowners have more time to enjoy activities and events because the homeowners’ association takes care of snow removal, exterior building maintenance, landscaping throughout the community, and access to the community clubhouse. Stress-free living is the atmosphere at Four Seasons at North Caldwell and whether you are socially or athletically minded, there are many social groups and exciting events that are constantly being planned with new friends and neighbors, like ladies' lunch and painting classes. Four Seasons at North Caldwell is situated in Essex County, New Jersey. With a close proximity to Interstates 80, 280, 78 and 287 and Routes 3, 24, and 46, the Garden State Parkway and New Jersey Turnpike traveling throughout the state is made easy. For farther destinations, the Newark Liberty International Airport is nearby. Closer to home, residents can enjoy shopping, dining, and entertainment. Popular attractions nearby include the Montclair Art Museum, Eagle Rock Reservation, Verona Park and Great Swamp National Wildlife Refuge. With farmers markets, trails and historic museums there’s always something for active adults to explore outside Four Seasons at North Caldwell in Essex County, New Jersey. There are plenty of activities available in Four Seasons at North Caldwell. Here is a sample of some of the clubs, activities and classes offered here. K. Hovnanian developed Four Seasons at North Caldwell betwee 2011and 2015 and now has 108 condominium units upon completion. These beautifully designed homes range from 1,957 to 2,428 square feet of living space. Each of these low-maintenance homes offer two bedrooms and two bathrooms. Residences feature spacious living and dining room areas perfect for entertaining. Each homeowner also gets two indoor parking spaces. It was wonderful working with Aimee. We highly recommend her. She listened to our needs and took us to a number of spots. It didn’t take long for her to find a spot that was perfect for us. She responded very quickly to our texts and phone calls. She went above and beyond our expectations in doing behind the scenes research on anything we questioned. She never pressured us by trying to convince us to consider spots that we were wavering about. In addition to the wonderful way she handled our search she was just a delightful person to be with. We can’t thank her enough for everything she did. We really enjoy living at FS North Caldwell. It's very luxurious and our building is fantastic. We've got good parking and the location is great, no maintenance and nice amenities. Yes, the price is somewhat high but you are paying for the high-end features and the excellent location. 55places.com is not affiliated with the developer(s) or homeowners association of Four Seasons at North Caldwell. The information you submit is distributed to a 55places.com Partner Agent, who is a licensed real estate agent. The information regarding Four Seasons at North Caldwell has not been verified or approved by the developer or homeowners association. Please verify all information prior to purchasing. 55places.com is not responsible for any errors regarding the information displayed on this website.